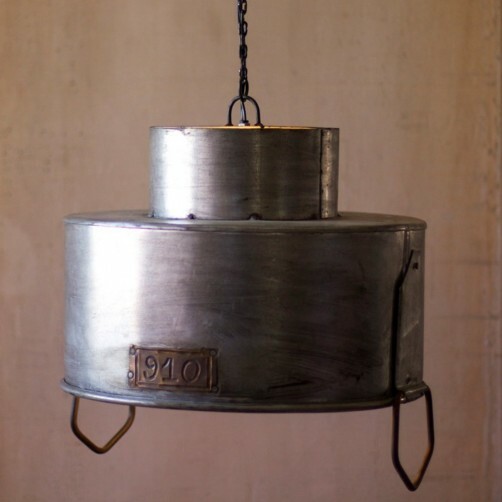 Inspired by vintage garage lighting design this striking metal pendant lamp features a double cylinder design with numbered stamp detail and double handles. Silver metal ceiling cap. Black cloth cord with silver cord for reinforcement. Can be plugged in or professionally hard-wired. Light bulb not included. 17.25" Diameter x 13.5"H. Max Watts: 60.